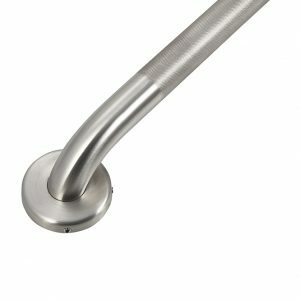 Discount Door Hardware.ca offers a growing inventory of heavy duty ADA compliant commercial grade stainless steel grab bars. All of our grab bars are fabricated from 1 1/4” stainless steel tubing and are knurled for safety. Visit our Showroom to purchase L-shape and other specialty grab bars for water closets and tub & shower applications.